Double wow moment! When this beauty arrived in my inbox, I quite literally gasped and sighed over the beauty of the heritage of Dior’s darling couture gowns and the sublime sharpness of Demarchelier’s photography. It also made me feel devastatingly sad for many of these heaven on earth works are by Dior’s dream fallen angel designer, John Galliano. 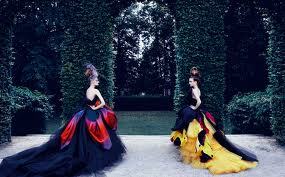 Indeed, it takes a collection of photography collating Dior’s wonders to make one realise just how difficult Mr Galliano is to replace at the helm of the couture house of couture houses. Who else can fit the Dorothy sparkle shoes that take the most critical audience of fashion journos in the world safely through Oz and land them safely back in Kansas with beautiful dreams of exquisitely detailed hand marquetry on expensive plush satins, billowing chiffons and sumptuous silks? Managing to combine an unsurpassed House heritage with an appreciation of couture and the demands of a commercial retail business needs quite a creative genius at the helm. Thus, we still await a replacement. In the meantime, Demarchelier’s fabulous retrospective of outfits shown from 1947 until today shows fashion’s finest hours. 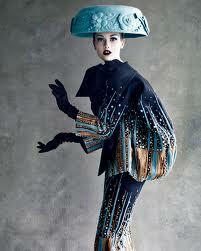 Patrick Demarchelier has always admired Dior Haute Couture. For him it is the birthplace of “unique pieces that are veritable sculptures” and therefore he wanted to pay tribute to the superlative splendour and expertise of Dior creations. Rendered still more sublime by Patrick Demarchelier, the designs created by Christian Dior himself and his successors, Yves Saint Laurent, Marc Bohan and John Galliano, prove to be modern and timeless: a magic that flirts with eternity, lifting our vision of what is possible in fashion and relaying it as art. 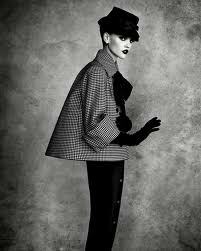 This is the stuff that dreams and Daphne Guinness are made of. From Shanghai to Times Square, the grand staircase of the Paris Opera House to the garden of the Musée Rodin, all places that the House of Dior treasures, Patrick Demarchelier captures all that is quintessentially Dior, personified by the most beautiful women in the world, from Charlize Theron to Gisèle Bundchen. Here the greatest talents honour the Dior legend. 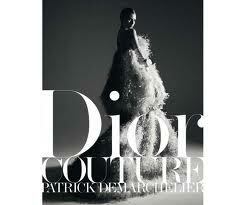 Published by Rizzoli and with the forward by Jeff Koons Dior Couture by Patrick Demarchelier has 240 pages to transport you to another world. On sale now priced £70 in the UK and $115 in the USA.